It’s been far too long since my last fight. Five months, in fact. After a year of pretty much non-stop fighting, I knew that I would need a break, but I never intended for it to be this long. After that fight, I took a couple of vacations, one back home and one to Bali, which were most definitely needed, but I still found it hard to tear myself away from the gym. This was something that my friends were familiar with, as I had spent the whole year putting off get-togethers with them in lieu of training and fighting. They’d told me to take some time to forget about fighting and to just relax and enjoy myself. I definitely wanted to do those things, but it was easier said than done, and I found myself shadow-boxing around my room and looking forward to being back in the gym while I was away. I came back with an overwhelming urge to get back into training and fight as soon as possible. However, I wasn’t able to do that as quickly as I had hoped. After returning in September, I threw myself back into training and as soon as I felt fit enough, started asking my trainers to get me fights. Opportunities came up, but sickness, injury, clashes with my work schedule and last-minute cancellations stopped them from coming to fruition. In the meantime, I watched others at the gym go in and out of their own fights, secretly wishing it was me. While the break started as a welcomed rest, it ended up far exceeding that, and went on to become a somewhat frustrating process for me. Despite not fighting, my focus hasn’t wavered, and I’ve kept myself busy with a heavy training schedule in order to be fully prepared for the next fight. It can be tiring to work so hard at something without yet being able to put it into practice, but the time I have been spending doing nothing but training has undoubtedly been hugely beneficial and has helped me to progress, even if sometimes, I’ve just wanted to fight so that I could see it. It’s frustrating to feel like you’re reaching a peak in your training when there is no outlet for it, but while it can sometimes seem as if it is without reward, that is far from the truth. I’ve seen definite improvements in myself during this period. Although there is no carrot dangling at the end of a stick, I know that I am working towards a fight, I just don’t yet know exactly when that will be. I prefer not to rely on fights alone for motivation, because I believe that I should be constantly working so that I am able to take opportunities as they come, regardless of how little notice I am given. I would hate to have to pass up an opportunity because I ‘wasn’t ready’. That would be a terrible excuse for someone who lives at their gym! However, without a fight in which to utilise everything I’ve been working on, there has been no release. Constantly fight training, while I wouldn’t trade it for the world, is a demanding routine, and without fighting, I’ve sometimes felt like I had something building up inside me with no way to vent it. The strangest part for me is that as a result of that lack of outlet, I at one point, seemed to develop a tendency to become generally more emotional than I normally would have. The emotional process involved in fighting is something I’ve written about in the past, but I never expected that not fighting would have such an effect on my emotions, too. Last week was particularly odd because I found myself welling up more times than I could even begin to justify, which is definitely out of the ordinary for me. These moments were triggered by the most ridiculous things, things so stupid that I am reluctant to even share them, so I shall spare you the details and myself the embarrassment. It seems strange to me that things that usually wouldn’t particularly bother me were able to evoke weird, overly-emotional moments, seemingly because I hadn’t been fighting. The only explanation that I could decipher from this is that without a fight to focus on, I allowed other, more trivial things to spill into my consciousness, over-thinking them and allowing them to make me momentarily unhappy. Well, that’s just silly. Perhaps the general frustration of the process made me more emotionally sensitive. Now, that could have just been due to external factors, or maybe just be me being stereotypically girly, but that is not something that happens very often (or at least I like to think so). It was weird and uncomfortable, but I pushed past it and put it down to part of the journey. 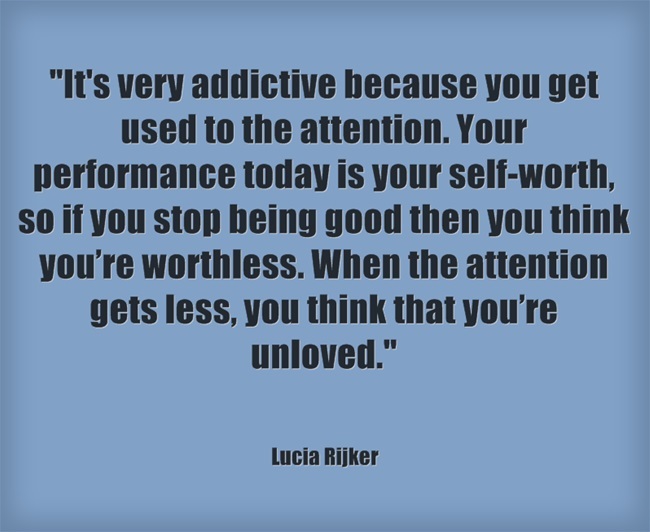 I was recently watching Shadow Boxers, a 1999 documentary about Lucia Rijker (which you can watch here). I could go off on a tangent about how incredible she is, but I shall save that for another post. For now, I want to just highlight something that she said about fighting that struck a chord with me. While this may not be directly related to my situation, it still resonated with me, and seemed to rationalise what I’d been feeling as a result of my accidental hiatus, albeit a short one in the grand scheme of things. It’s not that I felt worthless, unloved, or a need for attention, but that I needed a fight in order for me to measure my performance and therefore boost my confidence, or ‘self-worth’ as she describes it. While that may sound gloomy, the great thing about this is that knowing that I can identify with this feeling is a reminder that I should keep fighting. Now, there’s no use in moping and complaining about the fact that I haven’t been able to fight as much as I’d like. While taking an unintentionally long break has been unpleasant at times, it has ultimately been a really positive thing for me, and that’s what I want to focus on. A lack of one outlet has given me an opportunity to explore others, so that’s exactly what I’ve been doing. In fact, that’s how Under the Ropes got started. It had been a goal of mine for a long time to set up a blog. I wanted to put something out there for other women in Muay Thai, but I never seemed to find the time before. This time has enabled me to finally do that, and in just a few short months, it’s grown far more than I expected. I’m thrilled to see the amount of feedback I’ve had already, and it’s driven me to keep writing. If I had been fighting over the past few months, I might not have been able to do that. As well as my work on the site, I’ve also taken a good, hard look at my training and nutrition, and have been working to improve them. Since I haven’t been able to see the results of my work through fighting, I’ve chosen to focus more on other parts of my game, with a particular focus on strength training, which is something I really love doing. These have always been an essential parts of my training, but I’ve now been able to work more on seeing the improvements that I want these areas in particular. As a result, I’ve re-vamped my routine and my diet, and now feel fitter and stronger than I have in a while. The benefits of this are something that I’ll write about in more detail later (this post is a bit long already, isn’t it? ), but now that I’ve been able to invest some time in specific self-improvement, I’m more self-assured. While I may have been unable to draw confidence from my performance in fights, I’ve been gaining it through different sources, which can only be good. So, although this time has been a little difficult for me, it’s certainly been far from wasted. There’s no doubt that it’s incredibly annoying to be a fighter and not be able to fight for some reason, but there is so much more you can take from that. Read Muay Thai Guy’s post on ‘The Benefits of Being Injured’ to see what he’s been doing while he’s had to take some time out after breaking his arm, and you’ll see just that. Letting it make you frustrated or demotivated is totally useless. I’ve definitely had my moments, but overall, I’ve let it go, stayed positive and used my time productively. That way, I’ll come back stronger and better-prepared when the next fight does come. Until then, I’ll continue keep training and improving, making sure I stay ready. This entry was posted in Mental. Bookmark the permalink. I can totally get where your coming from here and that quote you put in really hits the nail on the head for me. i have been feelingvery unloved lately and i think thats beacuse i was so used to all the attention when i was fighting that when im not no one cares and it can give you a bit of a downer. I have said to my Hubby b4 i dont know what i will do when i stop fighting cause ill feel like no one its like im addicted to being famous now haha withouy fighting im just normal. Always love ur posts! I can find my own problems and experiences in most of your blogs. As for this one, I just recently moved away from my gym, and there is no proper gym around to train, which leaves me travelling from gym to gym each day of the week. Although it is not ‘no training’ or ‘no fighting’ it feels exactly as how u describe it. Keep posting girl! Thanks for pulling out that Rijker quote and nestling it so well in this post. Definitely something I’m dealing with at the moment, despite it not being connected to not fighting. As fighters, fighting definitely becomes part of our identity and it’s hard to tease out sometimes (suss out for you Brits) which side of the ropes is to blame when our emotions and self-picture are being affected inside and outside of the ring.